Only the differences from this are described here. Instead of the cutter being on a stub arbor in the vertical socket the cutter is on the horizontal arbor fitted in the horizontal socket. Since the angle of the cutter is fixed the only way of making the angle between the workpiece and the cutter is by swivelling the table. One other difference is that the distance between the cutter and the workpiece is done, in vertical mode, by moving the milling table in and out. 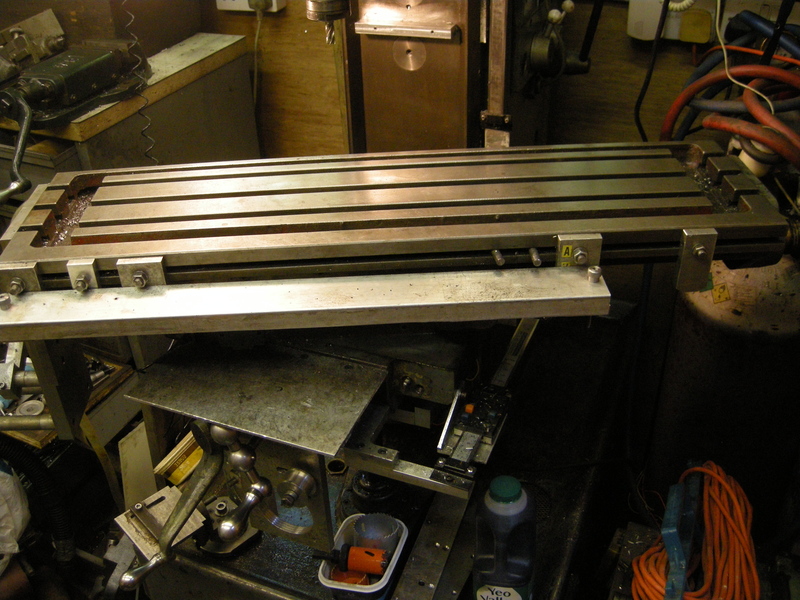 In horizontal mode it is done by moving the milling table up and/or down. The workpiece would have been held in a dividing head parallel to the milling table. 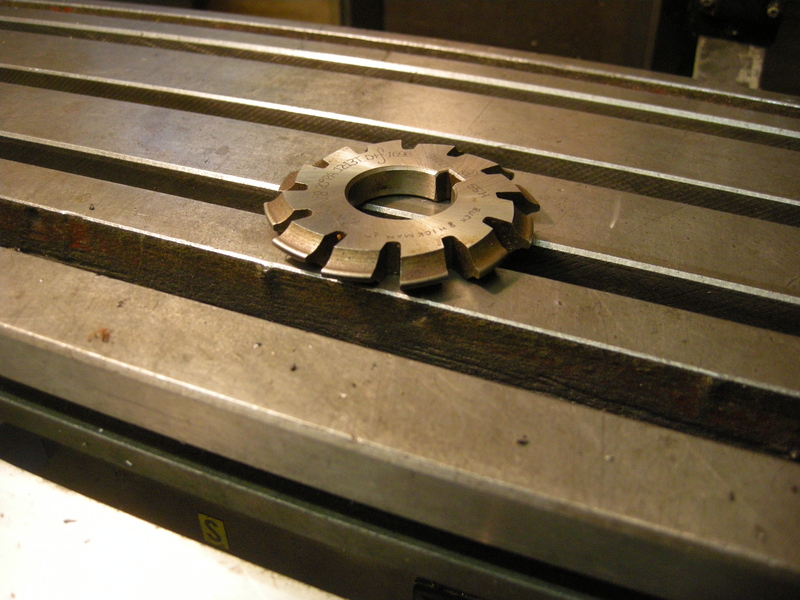 The teeth would have been cut using a brown and Sharpe type gear cutter held on an horizontal arbor .Doing this means the cutter is directly above the workpiece. But if the milling table is at right angles to the horizontal arbor the cutter is going to make cuts along the axis of the workpiece. Clearly for a helical gear the cut needs to be made at an angle. The way to do this is the make the table capable of swivelling round to the required angle. Usually this would be done using some sort of power feed. To sum up. A purely horizontal machine can only cut helical gears if it has a table that swivels. 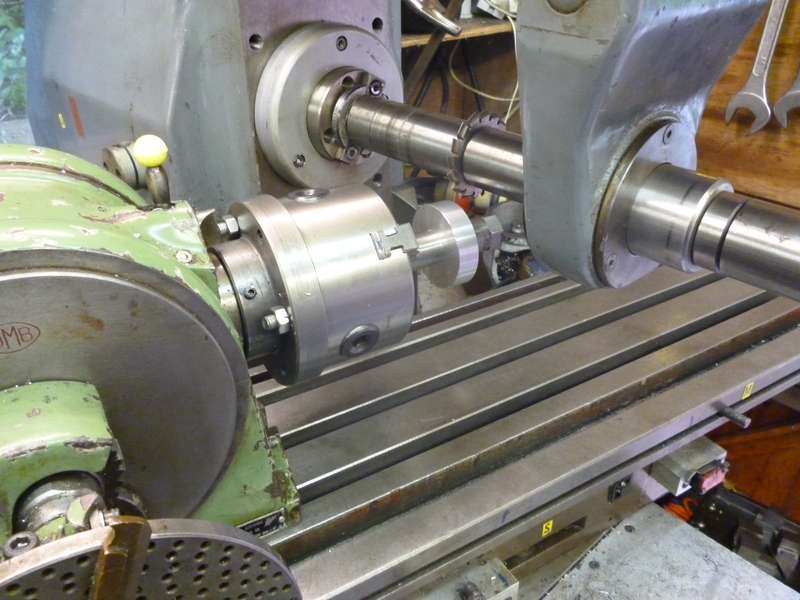 But, surprisingly, it is perfectly possible to cut helical gear on a vertical milling machine. I think all of this is covered on my page “Making spur gears using the dividing head”. The problem might be there is too much info there for you. If you have a specific problem send it to me as a comment. I think you need the pitch circle diameter not the od. You can get the lead from the helix angle and the pcd. The lead is the distance the workpiece goes while it does one complete rotation. You need to know the pitch of the lead screw and the division ratio in the dividing head. If you know the lead of the helix and the pitch of the leadscrew and the gearing on the dividing head then you can work out the ratio the added gears have to be. plug the gears you have got into Hobnail and the ration you need and the gears in the order needed will pop out.